When you tell a bad story, people stop listening to you. Tell enough bad stories, and you’ll earn a reputation for being a time-wasting jerkface. Other than the anti-social ramifications, you won’t have much else to worry about. When your business tells a bad story, you could end up doing actual harm. I’ve had the worst luck interacting with Big Name businesses this week. Each #FAIL is a story of a store I’m exceedingly reluctant to shop at again. Gift card in hand, I headed to Big Name Electronics Store to buy a Kindle. I’ve got a map of Big Name Electronics Store tattooed to the inside of my eyelids from my rampant electronics and videogame habit, but for some reason, I couldn’t find the Kindles. I wandered around for 15 minutes before I found someone willing to tell me where they were. The employee pointed me in the direction and that was it; no follow-up even though it’s an item that requires unlocking. I hung around looking lost for 15 more minutes, the last 5 pretending I was looking for something to steal; I figure it’d get me some attention. Nothing. Then and there, on the spot, I called up two other stores where I knew I could get a Kindle. I verified they had the one I wanted in stock, and I left. The most interaction I got from that store was the “Have a great night!” on the way out. All anyone had to do was say something. Anything. A flirty wink from the NerdSquad dudes would have sufficed. I would have happily paid them for that alone. Hell, I would have bought a case, a light, and any number of accessories. Left to my own methods though, and with no help and no way to see if they had the one I wanted, I got so frustrated that I called their competition while in their store to find what I wanted – and promptly left to buy the damn thing at a higher price. That would have been bad enough to blog about, but yesterday, I was at Big Name Office Supply Store, attempting to purchase a whiteboard. I took the ticket for the whiteboard to the register (the size I wanted was not kept on the floor) and had been waiting only about a minute when an older woman cut in front of me in line. I figured, with her advanced age, that she was attempting to teach this young buck a lesson about life being short or something. Silly old people aside, when it was finally my turn to get to the register (there were about 4 people in line and took about 5-10 minutes to help – each), I had to wait another 10 minutes for the sales associate to correctly communicate to the stockroom which whiteboard it was I wanted. He rang me up and told me to wait near the exit for the stockroom gnome to bring my whiteboard out. Fifteen minutes go by before the sales associate came back over and said, “We’re going to have to ship it to your house, there’s none in stock.” I asked him to refund my purchase while he ceremoniously chanted I apologize like he was broken Bing Crosby record. I would just like to point out that “I Apologize” is perhaps the most infuriating sentences of all time. Apologize is not the same as sorry. Sorry implies feelings, regret, specifically. I Apologize is what a serial killer says on trial to get an easier sentence. I was there for 45 minutes after shopping for 2 minutes, and then left with nothing – and, this wasn’t the bad news. While waiting in line, I was treated to the privilege of hearing the best huckster salespitch I’ve ever heard. Two salesmen stood to either side of a woman looking to purchase the Blackberry Playbook. She asked the associate if the Playbook did Flash. He confirmed this, then said, “Also, you know that this has 3G and WiFi. The iPad, you can get either but not both.” (This is, in fact, a complete and utter lie. I was so stunned by the stupidity of the statement that my jaw actually went slack. I had become a damned slackjawed yokel). There were other blatant lies uttered by the huckster and his cohort, but I was appalled enough – and sure enough that I couldn’t change the course of events – that I had to stop listening before I started foaming at the mouth or incinerated the store in some psychic storm of outrage for this egregious misuse of geek power. This takes us to my experiences today; the first, waiting over an hour to *be acknowledged* by the owner at a one-person business for a simple matter that could have and should have been handled in 5 minutes. At their office. While they handled another task in front of me… as I watched. If you want to make someone feel unimportant, that’s how you do it. If I did that to one of my clients, even a potential client, my head would be paraded through the streets. The second incident today, and this one is particularly infuriating, occurred while cooking up a dinner for my wife only to realize that the food we’d bought less than a week ago had turned moldy. Mold is often a fine-dining accompaniment, but this dinner was nowhere near fancy enough to qualify. Mold non-grata, in essence. Other stuff in our fridge bought elsewhere: just fine. This particular product was a Big Name Grocery Store name-brand product that I’d once tried to make home-made to disastrous results (read: it was so bad, it was one of the three times I’ve seen my wife facepalm and we ate Taco Bell to remove the tastes from our mouths). It had hidden mold – enough that I missed it entirely while prepping and cooking it. And it’s not the only product I’ve bought from Big Name Grocery Store that went moldy within a day or two of buying it. In fact, 50% of what I buy there in certain categories goes moldy within days. So I called up the 1-800 number on the back of the package and tried to report the issue, but instead of being greeted by a person, I was greeted by an automated system. The option to report an issue took three menus to get to. I gave up after about 15 minutes of trying to reach someone. Big businesses are no stranger to disappointing their customers, lest we forget my tale of woe in Brides, Burns, and Bed Bath and Beyond. It doesn’t take a marketing genius to figure out that ignoring your customers, making them wait around, and making them jump through hoops to report a problem… that’s screwed up. Are you running a dog show or a business? If that’s the story you’re telling about your business, whether it’s big or small, you’ll be going the way of Ultimate Electronics, CompUSA, and Linnens ‘N’ Things soon enough. Contrast this to my friends at Mail ‘n’ Copy on Timberline and Drake. The owner, the staff, everybody – they all know my name. I told it to the owner once. Each time I go in, “Hi Nick, haven’t seen you in a while. 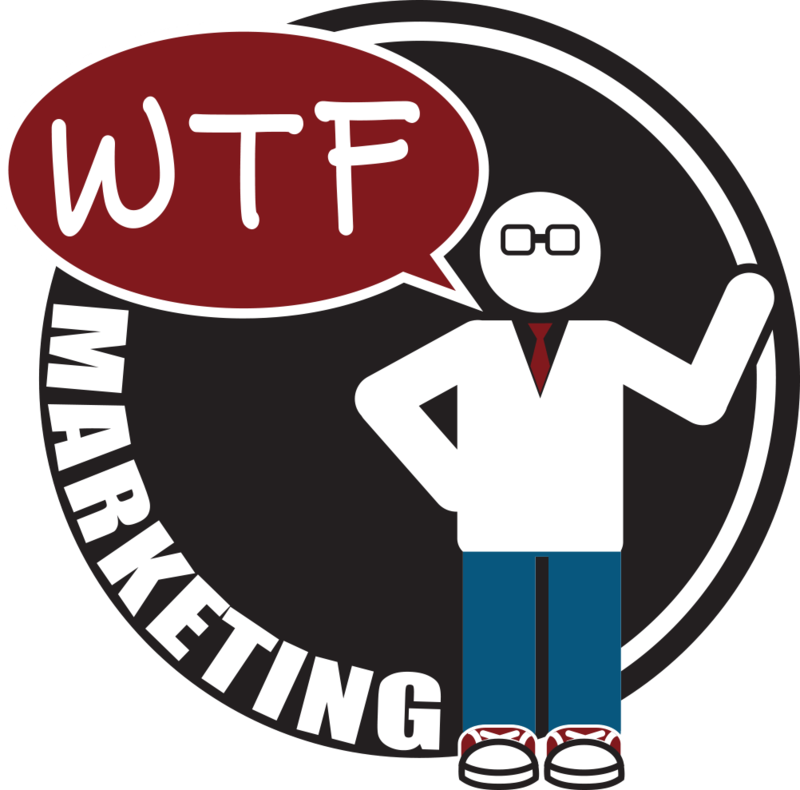 How’s WTF Marketing?” When I get a package, they call so I know when to come in. When my bill is due, they call with a reminder a week ahead of time. They ask how Stacy (my wife) is and what she’s doing. When I told them she makes custom greeting cards, they wanted to put them on their counter to sell. That’s a business I can stand behind. For the ones I can’t: if your customers are *begging* to pay you money, why are you making it so hard for them?